In his stimulating volume entitled. “Beyond the Mexique Bay”, Aldous Huxley has pointed out certain inaccuracies bordering on howlers detected by him in the latest edition of the Encyclopedia Britannica. That came to me as a shock as I had been taught to regard the Encyclopedia as the most authoritative reference-source. Turning to the article on “Indian Philosophy” found in the 12th Volume of the 14th Edition of the Encyclopedia, I realized that the comments of Aldous Huxley were by no means overdone or exaggerated. 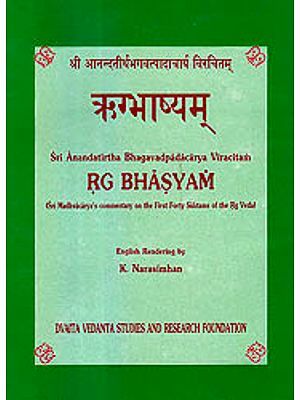 The article contains many inaccuracies, and the most astonishing phenomenon is that about ten lines are devoted to the system of Madhvacharya, which forms the subject matter of this volume. Notwithstanding the efforts, and achievements of Indian and foreign scholars, Indian philosophical systems have not been properly understood and appreciated in the West. At the present time, Indian misrepresentations of Indian philosophy are working greater havoc in the thought world than foreign misrepresentations. Indian misrepresentations of Indian thought circulated by certain prize — boys are advertised for public consumption by certain publishers and journals in the West. There is an organized attempt to glorify outrageous misrepresentations of Indian Philosophy into profound truths. The truths of Indian philosophy traditionally transmitted and embodied in the Sanskrit classics are obscured by the showy style, egregious epigrams, and the trickish terminology of the prize-boys of philosophic imperialism. 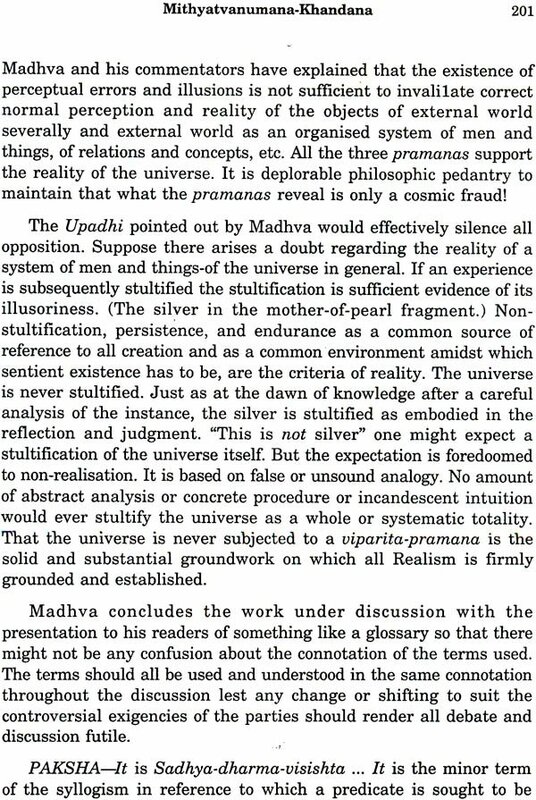 The Theistic system of Madhva (Anandatirtha) is practically unknown in the West, though brief references have been made to it, and short essays written on it. 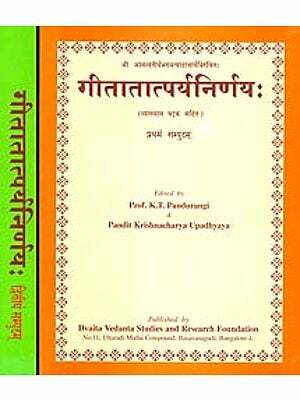 In India, knowledge of the details of the system is a monopoly of the Pandits, as the works of Madhqa are written in terse terminology, and as commentaries on them are technical and voluminous. 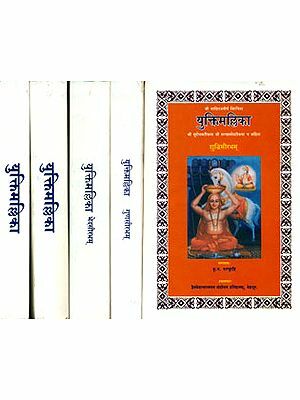 That is why no systematic exposition of the works of Madhva and his commentators has been attempted by Indian philosophers who are in the habit of writing for the benefit of international audiences, and for the purpose of pushing Indian philosophy within the focus of International Awareness. My ambitions and aspirations are limited. I write hoping to elicit a response from all students of philosophy, and the lay public as well, possessing the scholar’s outlook and desire to know the details of hitherto little known system of philosophy. It seems pointless to ask whether European and American, or even Indian critics for the matter of that, would accord a welcome to a Theistic system, when the predominant modern tendency appears to be towards Monisim, and Absolutism. If research in philosophy is to be genuine, it should throw light on new systems, new in the sense hitherto not properly and systematically presented. I have, therefore, attempted an exposition of the ten important works of Madhva which reveal systematic evolution of his system. The ten works (Dasa-Prakarana) exhibit an internal harmony They satisfy all the requirements of philosophic speculation or system building, some of them being devoted to destructive critical examination of Monism or Absolutism, and others to constructive elaboration of the Theistic truths. The chapters are arranged in an ascending order of philosophic import, or metaphysical significance, through which may easily be discerned the gradual evolution or unfoldment of THEISM, REALISM AND PLURALISM. The style of Madhva being terse, it becomes necessary to study the commentaries of Jaya Tirtha. I have endeavored my utmost to express in simple philosophic terms with standardized connotation every step taken and every argument used by that celebrated commentator to elucidate the significance of the language of Madhva. While proceeding through the task of exposition, I felt that certain stock-illustrations, and leading topics, had been repeated, but, I did not drop them as on each new occasion, it seemed some new lines of significance had been drawn. I consider it philosophically most reprehensible to read into ancient Sanskrit classics occidental notions, and administer occidental orientation to Indian systems of thought with a view to making them acceptable in the West. 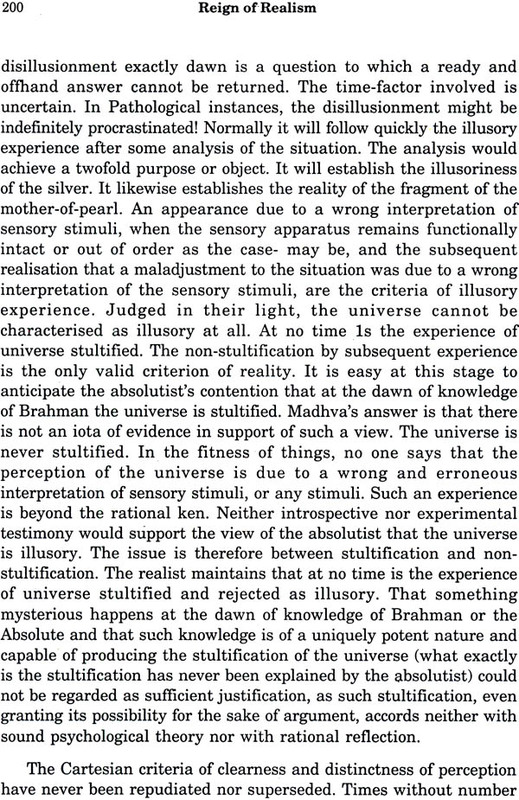 I have endeavored in my exposition to present the system of Madhvaas it is found embodied in the original texts, and not emphatically as what Indian and Western critics require it to be. I have heard it said that a system of theism like that of Madhva will not make any appeal to modem nations and communities. 1 this is true, so much the worse for those nations and communities. Theism is a challenge to human Thought. If international harmony is at all to be secured, it must be on a theistic basis or against a theistic background. “Am I my brother’s keeper” sums up the world-situation to-day. Spain, and Abyssinia amply illustrate the total absence of control of secular behaviourism by higher philosophic thought, and by culture agencies associated with ethical inhibition, and sublimation. Madhva’s theism has a place in the sun. I should now acknowledge obligations. My obligations, right through the exposition are to master-minds, the authors of constructive and controversial classics to Madhva, Jayatirtha, Vyasaraja, Vijayindra, Raghavendra and others in that line. There being nothing up till now published by anybody on the ten works in English, my obligations do not lie that way. His Holiness Sri Satyadhyana Tirtha, head of the Uttaradi Mutt, a celebrated champion of the system of Madhva, has evinced a lively interest in my work. To Miss Elizabeth George, M.A., Professor of Philosophy, Women’s Christian College, Madras, I owe the Index of Authors .and Topics of European Philosophy. I acknowledge with thanks her great help. My deepest debt is to the Proprietors of “The Hindu” - India’s leading Nationalist Daily-Messrs. K. Srinivasan and K. Gopalan, to whose generous and unstinted help, I owe the printing of my work. Formal expression of acknowledgement must indeed be too feeble to do adequate justice to their continued interest in my publication.